How Can Growth Mindset Improve Pupil Wellbeing? Ahead of our Supporting Independent School Pupils’ Mental Wellbeing Forum on Thursday 4 April 2019, Andy Woodward, Deputy Head of Senior School and Pastoral Lead, Harrodian School discusses the importance of promoting a growth mindset within schools to improve pupil wellbeing. If you have visited Harrodian Senior School this academic year, you will have found posters like these hard to miss. I hope you may have pondered over their slogans; I dare to dream you may even have found them inspiring! How Does a Fixed Mindset Hold Pupils Back? In essence, my mindset is the way I have learnt to think about myself: the beliefs I have acquired through the experience of growing up with myself down the years. But just how accurate is the self-image we impose on ourselves? Yes, it makes sense that we know that there are things that come more naturally to us, or that we prefer to do. But we’d be wrong to assume that our talents, abilities and intelligence are fixed or set in stone. Such convictions arise from a Fixed Mindset that can hold us back. While it may indeed make sense to us that a fixed belief in our shortcomings would lead us to evade or dread certain things and to anticipate failure in others, a Fixed Mindset can be equally unhelpful, dangerous even, in those areas where we believe our strengths lie. Uncritical confidence in our inbuilt ‘cleverness’ is unlikely to lend itself to truly hard work or the need to strive, while any setback may prove a threat to the very foundations of our self-esteem, assuming unnecessarily catastrophic proportions as we find ourselves struggling in the ‘thing we’re supposed to be good at’. How Can a Growth Mindset Promote Better Self-Confidence? 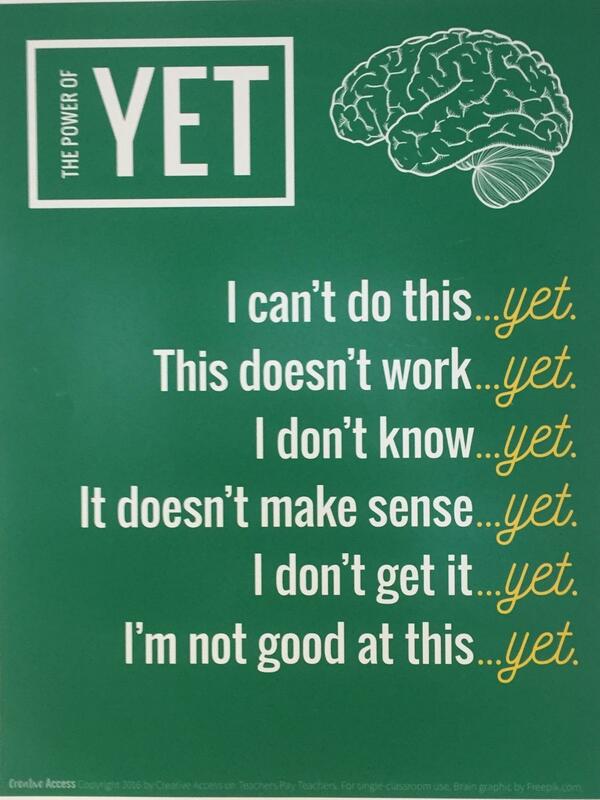 And so the point of those posters, and much else that we’re trying this year, is to encourage and incubate the opposite approach; the all-important Growth Mindset. This is a notion that has sometimes been misrepresented. It is not the facile ‘X Factor’ notion that all of us are potential shining stars waiting to be discovered. No, the claims made by those, Carol Dweck chief among them, who have promoted Growth Mindset thinking in recent years are far simpler: anyone, with hard work and good instruction, can improve and develop in any given thing. We can all get better. We can all progress. Impossible as it may seem, with a good teacher and plenty of practice, I can even get better at DIY. That road is not closed off to me. 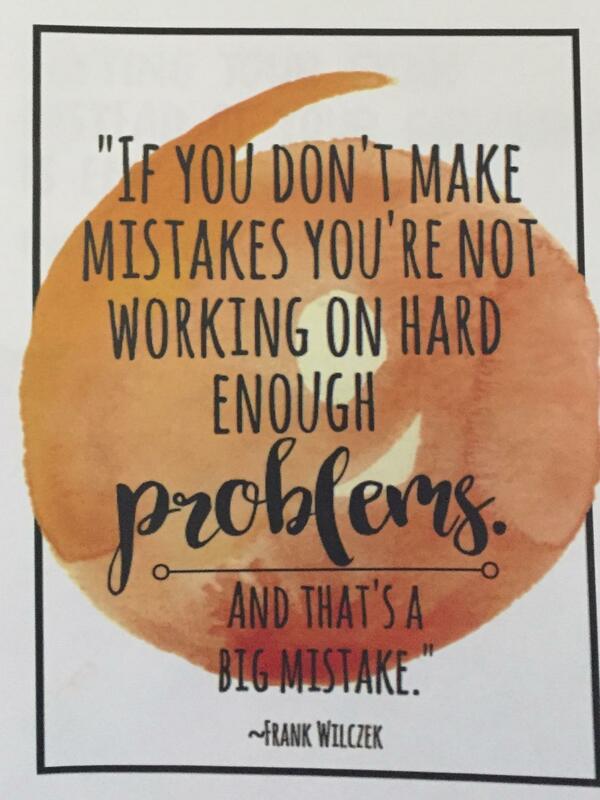 There is a whole vocabulary and methodology of teaching to discover in support of this, utilising the value of ‘good’ mistakes, of embracing challenge, of taking responsibility for self. They can wait for another day but, in the meantime, we will continue to propagate Growth Mindset thinking at Harrodian. Our pupils are not clever or thick, not ‘good at it’ or ‘bad at it’, not a ‘Maths person’ or a ‘Creative’. They can choose what they want to be, and they can work to get there, understanding that any worthwhile journey will have slips and stumbles along the way. I certainly believe it is something worth aiming for, even if we’re not there… yet. To hear more from Andy Woodward and sector leaders, including Rhiannon Williams, Deputy Chief Inspector, Independent Schools Inspectorate (ISI) and Dr Libby Artingstall, Co-Founder & Director, Team Mental Health and Consultant Forensic Psychiatrist, join us at the Supporting Independent School Pupils’ Mental Wellbeing Forum on Thursday 4 April 2019.